There are many ways to get the most from the PLR that you purchase. Sadly, many people buy a lot of PLR and then they don’t do anything with it. At MCH we don’t want you to do that. We want you to buy PLR that you’re going to use as quickly as possible so that you start seeing the benefits of using this content. 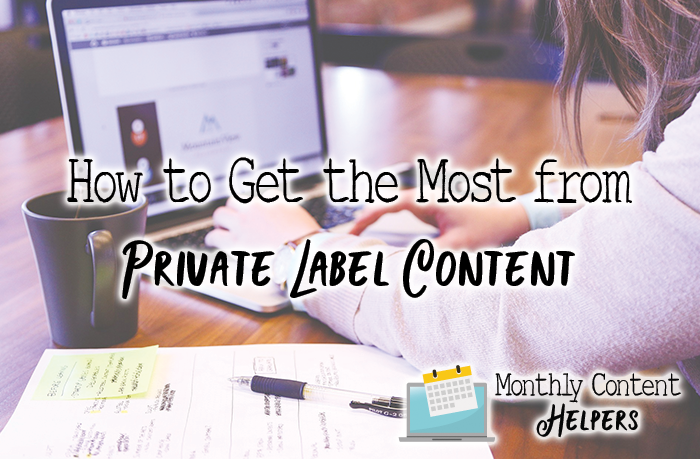 Let’s explore ways you can get the most from your private label content purchases. One trick is to understand exactly why you’re buying the PLR. Don’t buy something just because it looks great and you think you might use it. If you can’t think of a way to use it and plan while you’re reading the sales page, don’t buy it. That might sound crazy for us to say, we are selling PLR, we write PLR, but we really do want you to succeed and the only way to succeed is to use what you buy. When you’re looking at PLR to buy think about what you can deliver to your audience that will make a difference for them. Is this PLR really speaking to your audience? Can you really use this PLR for them? How will this PLR package help them solve their problems? Will it delight them and give them solutions? You’ve likely fallen for it. You were searching for PLR and found something that seemed great, but when you downloaded it, frankly, it sucked. Worse, you may have downloaded something you thought was PLR only to find out later it was stolen and plagiarized content. That’s the worst. For this reason, and the risk involved, only buy PLR from reputable sources. When you buy from people you trust and know what you’re going to use it for before buying it, you should be able to put it to use immediately. Not next month, but within the day or week at the most. Because it’s so easy to put PLR to use, there really isn’t an excuse for putting it off. Truly, you can put it to use right away. If you need help with your work, consider outsourcing to a great VA. Then all you have to do is send it to them and they can put it to work for you. Every blog post, every email, every report that you put out into the world should be monetized including PLR whether you’re selling the product directly or giving it away as a freebie. You can add links to products, services, courses, and more that are relevant to the content you’re publishing. When you buy PLR one awesome fact about it is that with few exceptions you can use the PLR in many ways. You can use the PLR as is, you can alter it to make it into a different format, you can combine it with your original work to make it unique. The options are truly endless. If you’re not sure about how to use it sign up for Kelly McCausey’s Coaching. She’s a true expert and knows just what to do. She’ll get you in shape in no time. You can change the images to pictures that you’ve taken or purchased. You can change the title, the headings, the subheadings, add in personal stories and combine other PLR into the PLR you buy if you make it flow, and make it look great and most importantly make it effect at solving a problem or filling a need for your audience you’ll end up making it even better so that your audience will come back for more. Shannon is particularly good at making things attractive. When you are focused on why you’re buying it, and you know what you’re going to do with it before you buy it, you’re going to much more likely to get a lot out of the PLR that you buy. If you want to know how to use your PLR better, please consider watching Kelly McCausey’s PLR Hoarder’s Webinar Replay. You will be glad you did because you’re letting money sit on your hard drive doing nothing. 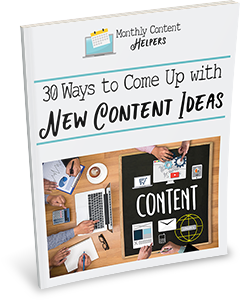 Don’t forget to sign up for our email list so that you can get notified when we have new PLR content for you to buy. But, when you check it out, make sure that you really need it. We want you to be happy with the content you buy. Come to our Facebook Group to discuss more about PLR and you can also follow this Using Your PLR Facebook Page to stay up to date on ideas about using PLR effectively. Great tips! I’ll echo the use it right away point. I have at three bundles that I meant to turn into awesome things, but then got distracted and didn’t even get started on them. It’s not too late! Seriously, just get started now. I think for me at least what happens is I bite off more than I can chew on a project then I get frustrated when I don’t get done. As long as you’re moving forward you’re moving forward even if it’s slower than others. 🙂 You got this!